My unforgettable experiences touring the game's subcontinental heartland. In more than two decades at the ABC, I experienced multiple Olympic, Paralympic and Commonwealth Games and covered world championships in numerous sports. But commentating cricket was my greatest passion, and commentating in India was always at the top of the list. I was fortunate to broadcast three-Test series there – 2001, 2004 and 2008 – as well as the 2011 World Cup. For each series I worked alongside my great mate Jim Maxwell, the man whose voice was the soundtrack of the Australian summer. Together we immersed ourselves in a cricket-mad nation in all its various guises. We did so each time in the company of the great Harsha Bhogle, one of nature’s true gentlemen who carries rock star status in India and has become one of ABC Grandstand’s listeners’ favourites over the years. India, as a country, is a total assault on the senses – sight, sound, taste and smell are all put to the test. The latter not always in the most pleasant of ways. One morning in Chennai, Jim and I shared a taxi to the ground with renowned News Limited cricket journalist, Robert Craddock. Unfortunately, “Crash” was not feeling on top of the world, having contracted a stomach bug. Breakfast that day consisted of a few slices of dry toast. 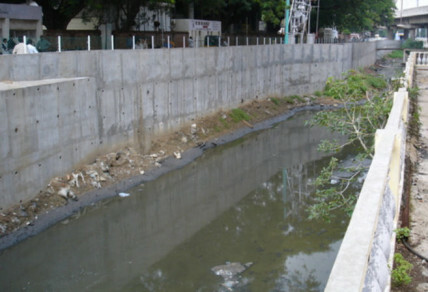 The M A Chidambaram Stadium in Chennai has the Buckingham Canal running alongside it. While sounding regal, it is anything but. It is effectively an open sewer flowing directly outside the main gates. Upon alighting from the taxi, we were hit full force with the stench. Topped by an already hot and humid start to the day, sadly Crash’s breakfast reappeared. Each afternoon around the tea break, when the wind changes direction and comes in off the sea, the canal’s contents assaults the olfactory nerve. At times, the stench has you almost dry retching. India is a country of the unexpected. While walking towards the airport terminal in Delhi one trip, we were amazed to see a cow walk up to the electronic sliding doors and saunter inside. On another occasion, driving pre-dawn out to Mumbai airport, we passed a naked body with a small sheet covering the head by the side of the road. It was a sobering sight. Often when you think India, you think people. The streets teem with them. And wherever you see an Indian, cricket is not far away. In alleyways, on streets, in parks, the game is played with fervour. The famous maidan in Mumbai, a massive open space, has hundreds of men and boys playing pick-up games from sunrise to sunset. It is where Sachin Tendulkar spent much of his youth. 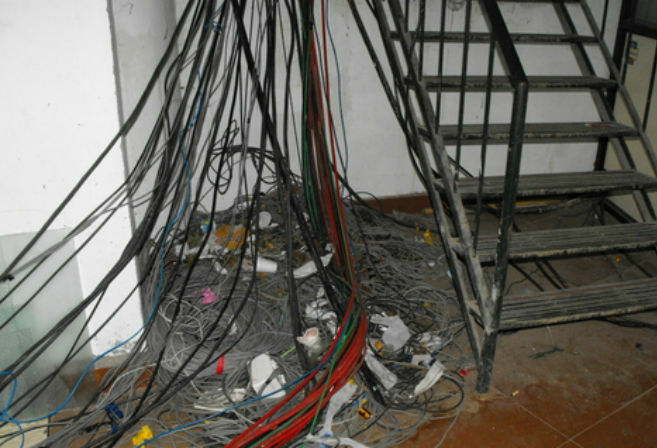 One of the great challenges of broadcasting from India lies in the inevitable technical troubleshooting. Having a broadcast line installed is one thing. Getting it to work is another. It’s often an exercise in frustration. On each tour of India, it was an issue and on numerous occasions, we were forced to call the game on either mobile or landline phones. On the opening day at Kolkata in 2001, we called the first two sessions on various phones. A task made more difficult by the fact we were commentating from an open balcony literally among the massive crowd. At Nagpur in 2008, we spent almost the entirety of the opening day calling on our mobiles. Eventually, well after the tea break, we were informed what the problem was. 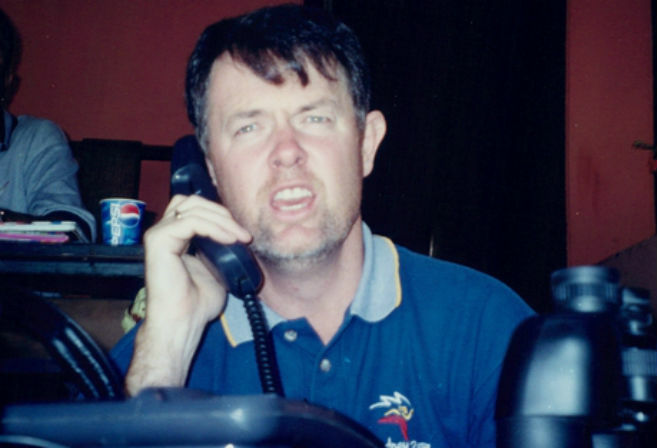 We had been given the wrong phone number to pass onto our master control in Sydney which was supposed to dial us in, and we could not dial out as they had placed an international bar on the line at the local exchange. We queried the technicians who kept milling around our box for five hours about those possibilities but we were assured on each occasion that neither of those issues were the root cause and the problem lay with our equipment. When I say technicians, I mean multiple. Sometimes they seem to multiply like the biblical loaves and fishes. It was not uncommon to have as many as five in the box – one seemingly working on the problem and the other four watching the action, if not outwardly barracking for the home side. We used to often wonder if the constant line issues were because of the technicians’ desire to resolve things slowly so they could watch the game from our box. Every time we were forced to call on a phone, our head of department back in Sydney had kittens as he worried about those up the management food chain potentially wanting us to abandon the call in favour of local programs back home due to the inferior sound of the broadcast. Somewhat oddly, many listeners rang the ABC to say how much more authentic the call sounded and that it fitted more with their idea of India. One of the great features of the ABC’s coverage from India was our scorer, the incomparable Mr Subramanian. 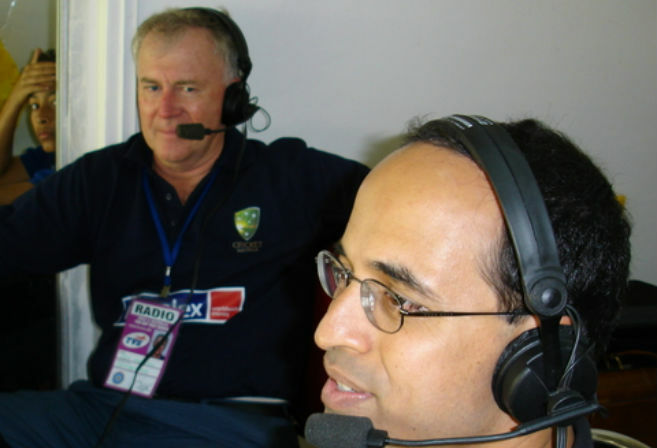 He ‘found’ Jim and Tim Lane when the national broadcaster commentated a series for the first time from the sub-continent in 1998. I must admit, listening back home to that series, I was never sure whether he existed or if he was merely a prop that Jim and Tim were referring to in order to enhance the coverage. However, in the lead-up to the 2001 tour, Jim assured me he was the real McCoy and would be with us. And, lo and behold, come the first Test in Mumbai, he magically appeared as if he was wandering out of an Arthurian mist. Mr Subramanian hails from Chennai and he informed us he had spent 20 hours on the train in order to fulfil his duties with us in Mumbai. He continued around the country on each of our tours on the vast and overcrowded Indian rail network. There was never cause to doubt his enthusiasm. However, the accuracy of his information was sometimes a different matter. The day after our mobile phone episode in Kolkata in 2001, Mr Subramanian arrived at the ground with a sandalwood statue of the Hindu god, Ganesha, who, among other powers, was the god for removing obstacles. He remained in Jim’s luggage for every one of our subsequent tours to India. On occasions, Mr Subramanian, a devout Hindu, would perform a puja ceremony in the morning before play, placing flower petals and burning incense at the base of the statue. Our Ganesha’s powers did not always save the day but he often became a point of reference throughout our broadcasts. 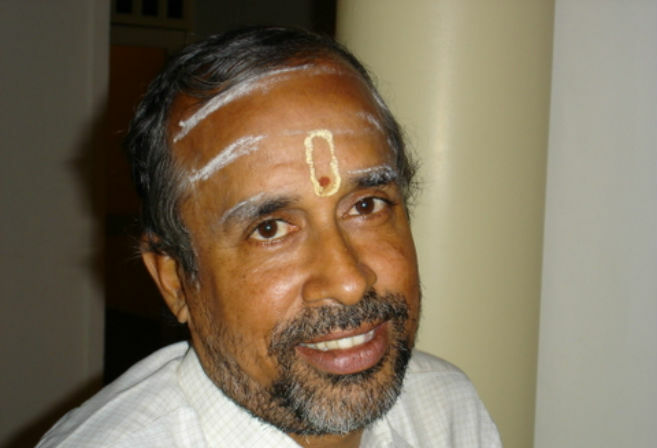 Mr Subramanian was somewhat of a prophet as well as a scorer. At Chennai in 2004 he amazed us all. At lunch on the third day, Australia was 4-230 after a patient opening session that saw Damien Martyn and nightwatchman Jason Gillespie survive unscathed. Just as play was resuming, Mr Subramanian commented to us that two wickets would fall in the middle session. I was behind the mic with around ten minutes to go before tea when I remembered his forecast. I ribbed him about the fact that a wicket was yet to fall. I was never sure whether Mr Subramanian existed or if he was merely a prop that Jim and Tim were referring to in order to enhance the coverage. He told me two would still fall before the tea interval. I asked him who would go first, Martyn or Gillespie? He confidently said Martyn, and the very next ball he was snapped up at slip by Harbhajan Singh for 104. Gillespie fell three balls later, Australia going to tea at 6-290. The smile on Mr Subramanian’s face was priceless as the rest of us merely shook our heads. Each tour of India provided its own highlights and memories but, without doubt, the 2001 series was the most memorable sporting contest I have ever covered. After six days of cricket, Australia looked certain to end its 31-year drought in India such was its dominance. Seven days later, they had lost one of the most exciting and memorable series in cricket history. Australia won the first Test at Mumbai in the most emphatic fashion with a ten-wicket win inside three days. The match was dominated by Matthew Hayden and Adam Gilchrist, who each made centuries in Australia’s first innings as the tourists rollicked to victory. Mumbai is the Tendulkar’s home and in a country where he is revered, the epicentre of that adulation is in Mumbai. He made knocks of 76 and 65. His first two shots of the series are seared in my memory. Damien Fleming was bowling from the far end. Tendulkar went on to the back foot and defended the ball to the right of Mark Waugh at mid-on – he was out of the cordon after fracturing a finger in the warm-up game – and it scooted away for two. The next ball he again defended off the back foot. It beat Fleming in his follow through and was fielded two metres inside the rope. Both shots wreaked of pure class and exquisite timing. At stumps on day three, Tendulkar was 34 not out in India’s second innings. The gates to the Wankhede stadium were shut an hour before the game. The Little Master was guaranteed to be batting and the locals all wanted to witness it. When the second wicket fell in each Indian innings, it heralded the arrival of a living deity. As the outgoing batsman trudged from the field, the ground fell silent. The presence of Tendulkar was met with rapturous applause. As soon as the Little Master stepped onto the field there was a deafening roar which only intensified all the way until he took guard. The presence of Tendulkar was met with rapturous applause, even a defensive push back to the bowler. From then on, the crowd rose to every one of his acts, no matter how banal they were; even a defensive push back to the bowler. And then, when he was dismissed, an eerie silence fell on the ground. You could almost hear an inhalation of breath from the crowd. The silence remained until he was roughly a dozen metres from the pitch before the low rumbling heralded tumultuous applause all the way back to the pavilion whether he had departed for nought or a hundred. There is a misconception about cricket crowds in India. 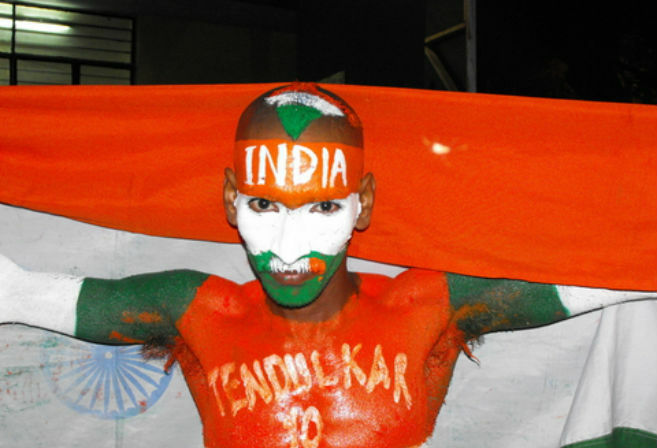 In the south of the country – Mumbai, Bangalore, Kolkata and Chennai – Test matches are very heavily supported. However, in the north, at cities like Delhi, Mohali and Nagpur, they can be very thin on the ground. In 2008, when Tendulkar broke Brian Lara’s Test aggregate record, the ground would have been lucky to have had 4000 in it. That didn’t stop the administrators from shooting fireworks into the sky from outside the ground. In brilliant sunshine, you could not see them, but play was stopped for five minutes because of the noise! The Kolkata Test in the 2001 series is one of the most famous in the game. It kept the archivists of the sport busy. Australia amassed 445 and preceded to bowl the hosts out for 171 in under 60 overs. With a lead of 274 runs, Steve Waugh enforced the follow-on and when India slipped to 3-115 with the loss of Tendulkar, that elusive series victory seemed a formality. Someone, however, forgot to tell VVS Laxman and Rahul Dravid. At stumps on day three India was 4-254, still trailing by 20 runs with Laxman on 109 and Dravid unbeaten on seven. Day four, beneath a molten yellow sun, produced one of the greatest days in Test history. Laxman and Dravid batted for its entirety, never offering a chance, as Waugh worked his way through no fewer than nine bowlers. Laxman, in particular, put on a batting masterclass. At times you got a stitch in your eyebrows watching his mastery with the willow. That elusive series victory seemed a formality. Someone, however, forgot to tell VVS Laxman and Rahul Dravid. On numerous occasions, he would back away to the leg side and drive Shane Warne out of the footmarks and through the covers for four with the skill of a Medici sculptor. He kept plundering the quicks with whips of his pads akin to a man brushing lint off his trousers. All day Waugh appeared to be attempting to plug gaps. A ball would go to the boundary, Waugh would make a field adjustment and the next ball would go through the gap where the fieldsman was previously. In the end, Waugh literally dispersed his fieldsmen like chaff to the wind. At times it was like watching an autopsy being performed on a man who was still alive. As the day, unfolded Laxman began stalking history and, as a result, he truly cashed in. In a uniquely Indian way, the electronic scoreboard started to display monetary rewards for his genius. When he posted his double century a message stated he would receive 200,000 rupees from the Cricket Association of Bengal. Additionally, he would pocket a further 1000 rupees for every run between 200 and 236, which was Sunil Gavaskar’s all-time record for an Indian batsman at that time. And then, for every run beyond 237, he would collect 2000 rupees. At stumps, he was on 275 and 312,000 rupees (A$13,000 at the time) richer. Only in India. When I went downstairs to the post-play media conference, the CAB circulated a release stating that Harbhajan would receive 100,000 rupees for his hat-trick on the opening day – the first by an Indian in Test cricket. They also said they would reward the team with a 500,000 rupee bonus if it won the match. Having survived the day unscathed, India at stumps on day four was 4-589, with Dravid on 155 and the lead at 315. They had put on 335 runs in the day. The Australian players left the field looking a bottle of week-old lemonade. India declared at 7-657 about 45 minutes before lunch on the final day, a lead of 383 runs. Laxman finally departed for 281. Dravid was unconquered on 180. Their stand had realised 376 runs. Australia’s record-breaking, 16-match winning streak was about to end. The question was would they hang on for a draw or surrender the match? They had to survive a minimum 75 overs. At lunch, they were 0-24. By tea, 3-161. The draw was firming. Tendulkar chimed in with 3-31, including trapping Gilchrist in front for a first-ball duck, leaving him with a king pair having been the middle wicket in Harbhajan’s opening day hat-trick. With time running out, skipper Sourav Ganguly had Harbhajan swap ends. He was met with instant success. Three balls into the 69th over, he trapped Glenn McGrath in front. With less than half an hour remaining, Australia was all out for 212 with India levelling the series with a 171-run win. Harbhajan’s 6-73 sat alongside his first innings 7-123. In most circumstances, that would win you man-of-the-match but that honour was bestowed upon Laxman for his innings of 59 and 281. With the sun rapidly setting the on-ground presentations were being carried out in murky light, while at the far end of the ground, the spectators in the multi-level grandstand had gathered up the placards that they had been waving for each boundary and six and placed them in various piles that they set alight. Brilliant orange spot fires illuminated the stand, creating a surreal backdrop to a bizarre Test. Each day there was a minimum 70,000 in the ground. They would all have stories to tell. Jim and I had a short walk back to the hotel with our gear trailing behind us. We needed to wander through a long-distance bus depot with buses displaying signs for exotic locations like Darjeeling. As Australians, we copped plenty of good natured banter. The locals were in fine spirits and well they should have been. A series that looked lost a couple of days earlier was now firmly in the balance. A few days later, everyone was ready to go for the decider at Chennai. The day before the game, Jim and I were patiently sitting in the commentary box awaiting the installation of our broadcast lines. While doing so we watched the Indian team training in the nets erected on the outfield. When the players packed up and headed for the team bus one man remained. Tendulkar. After half-centuries in each innings in Mumbai, he made a pair of tens at Kolkata. He was clearly keen to end the series on a high note. For over half an hour he faced a ragtag attack consisting of local net bowlers and the odd member of the ground staff. His monastic devotion paid off. He scored 126, bringing up his century with a massive straight six off Colin Miller. The resultant crowd noise was deafening. His knock was the batting cornerstone in his side’s two-wicket victory. A victory that denied Australia its first series win on Indian soil in 31 years. It was an epic series. One of the greatest in the sport’s long and storied history. Three years later, I was lucky enough to see Australia break the drought. After winning at Bangalore and playing out a rain affected draw at Chennai, the side won the third Test at Nagpur. On the eve of the game, Ganguly withdrew citing injury. Many thought it was in response to the pitch that was prepared, which had a covering of green and very un-Indian in appearance. Publicly, he made his displeasure known. The Aussies had no such qualms with the post-match celebrations going deep into the wee small hours. My last cricket experience in India was the 2011 World Cup. I worked on that trip for both the ABC and BBC, which presented me with the opportunity of calling many matches around the country not involving Australia. In Bangalore, however, I was on my own, forced to call the Australian games against Kenya and Canada solo. I busily lined up the likes of Ian Chappell, Danny Morrison and Simon Doull – all there on TV duties – to help out in the expert’s chair. It was tiring for me and no doubt painful for the audience! Australia bowed out in the quarter-finals, going down to India at Ahmedabad. The ABC has now returned to India to provide ball-by-ball coverage of a Test series for the first time in nine years. Despite competition on the radio airwaves in recent summers, I firmly believe ABC Grandstand’s product continues to be the benchmark. The broadcast of this tour is headed up by Gerard Whateley and Alister Nicholson, two men who will certainly uphold the fine tradition of cricket on the ABC which dates back eight decades. I, for one, will be a passionate listener. For the boys’ sake, I hope the broadcast lines hold up. Image Credit: All images supplied and owned by Glenn Mitchell except the cover image, Indian fans in the crowd and the 2004 Australian Cricket Team which are Copyright to AAP Australia.